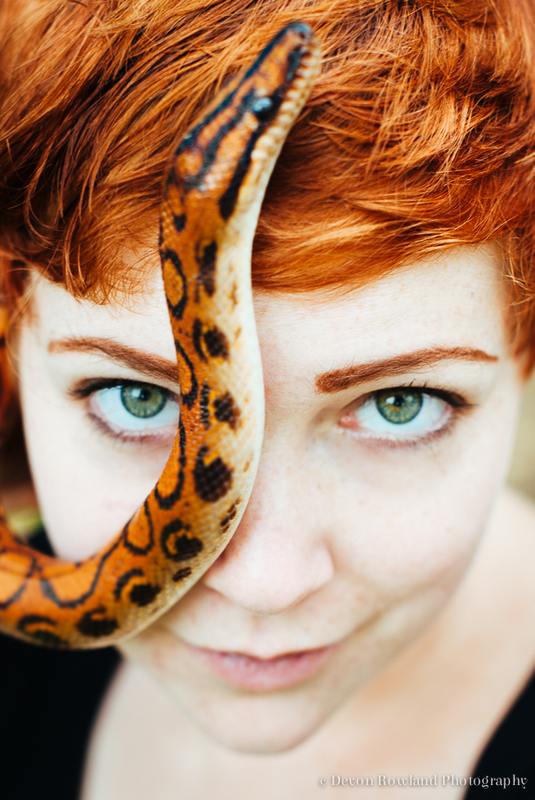 [ Smiles ] The snake matches well with her hair-colour! Thanks! I didn’t dye my hair to match the snake or even know I would have a snake that color to work with, but it all coordinated rather well.